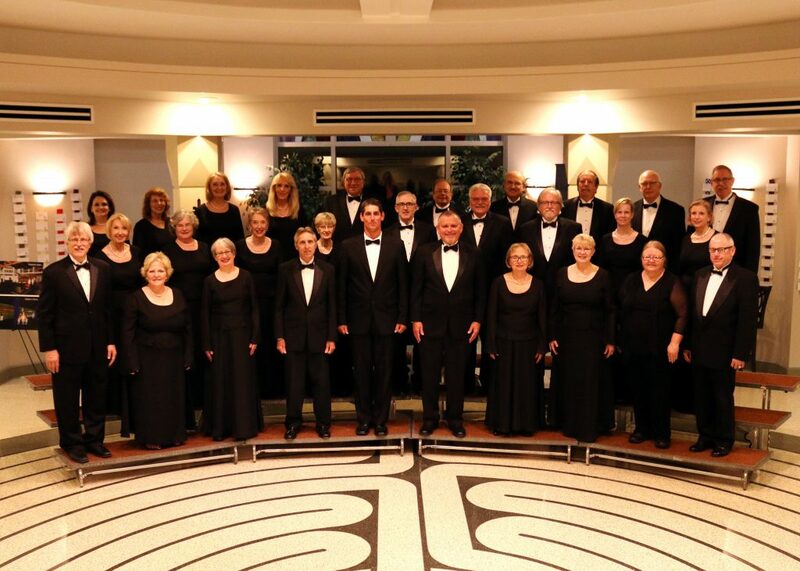 On March 23 at 7:30pm, the Allen Philharmonic Orchestra & Symphony Chorus is proud to present an epic spring concert program celebrating 20 years of great music, service, and innovation in our community. The performance will be in the Performing Arts Center located at Allen High School. The highlight of the evening’s performance Carl Orff’s Carmina Burana, a scenic cantata based on 24 poems from the medieval collection Carmina Burana written in the 11th through 13th centuries. 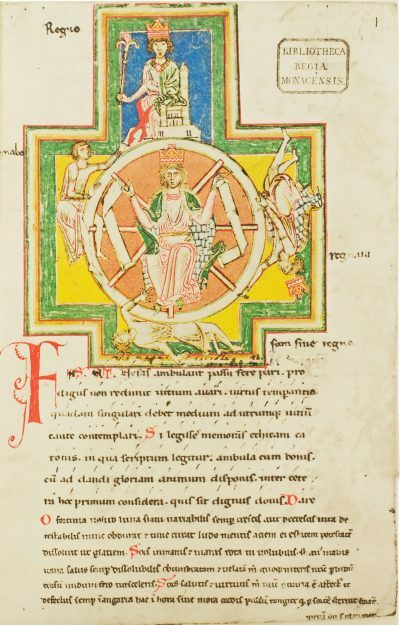 Sung in Latin, Middle High German, and Old French, the poems are based on the idea of the turning Fortuna Wheel (wheel of fortune) and covers a wide range of topics as familiar in the 13th century as they are in the 21st – the fickleness of fortune and wealth, the nature of life, the joy of the return of Spring, and the pleasures and perils of drinking, gluttony, gambling, and lust. 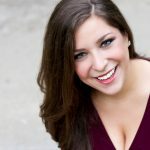 Soprano Jennifer Wheeler, tenor Scot Cameron, and baritone Jeffrey Snider will be joined by 200 voices from the Allen Symphony Chorus, Collin College Chamber Choir, UTD, Richland College Chamber Singers, Lone Star Youth Chorus, and the Fort Worth Elementary Honor Choir Select Singers. Additional selections for this program include the instantly recognizable Brahms Hungarian Dance No. 5 and the Hollywood-esque Sejourne Concerto for Marimba and String Orchestra, featuring guest soloist and 2018 Young Texas Artist’s Grand Prize Winner Justin Douté. A native of Denver, Colorado, Justin attended the Denver School of the Arts High School for Music and the Manhattan School of Music. While an undergraduate, he overcame three leukemia diagnoses and later completed his Bachelor’s in Music Performance at the University of North Florida. 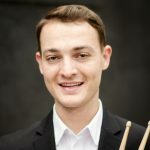 He currently holds a bachelor’s degree from The University of Northern Florida and a master’s degree from Rice University’s Shepherd School of Music, both in Percussion Performance. During the summer of 2018 Justin attained the Charlie Owen Fellowship at The Aspen School of Music and Festival. A portion of the concert proceeds will be donated to the Leukemia Lymphoma Society in Justin’s name. 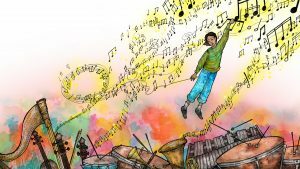 The Allen Philharmonic invites you to join us in the Civic Auditorium at the Allen Public Library for the spring Concerts for Young Audiences program on Saturday, March 9th, The Conductor’s Spellbook. This free, magical concert will be fun for the whole family. Come listen to The Magic of Harry Potter, featuring themes from all eight Harry Potter movies and be enchanted by a performance of the first movement of Tchaikovsky’s Violin Concerto featuring our 2018-2019 Gold Medalist, April Chung. The highlight of the program is The Conductor’s Spellbook, which tells the magical story of Tony Stradivarius. During a field trip to the symphony, young Tony finds a powerful book of spells and uses it to control the orchestra. This exciting and interactive concert experience introduces the audience to music, orchestral instruments, and even conducting. This concert will be unlike any symphony concert you may have experienced in the past! Pre-concert activities begin at 2:00pm and the concert begins at 3:00pm. Come hear and make musical magic with the Allen Philharmonic. 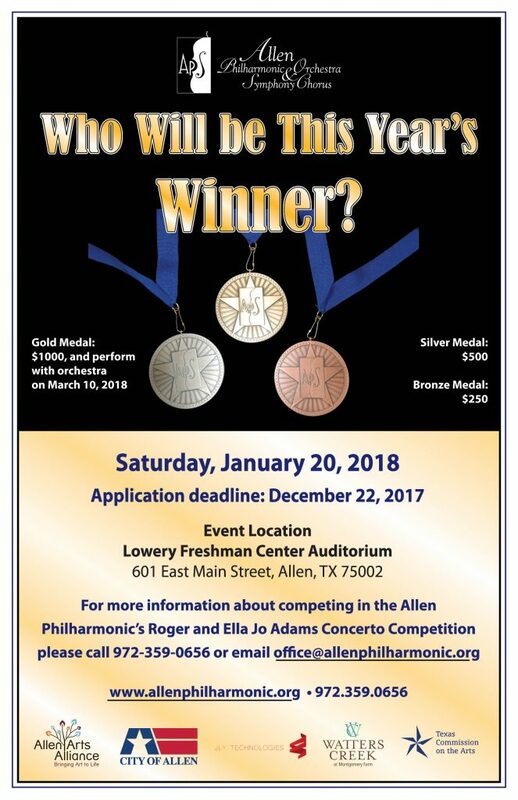 Visit the Allen Public Library website or www.allenphilharmonic.org for additional information. Follow Clara as she saves her beloved Nutcracker Prince from the evil Mouse Queen and embarks on a journey through the Land of Snow to the Palace of the Sugar Plum Fairy in the Kingdom of the Sweets. Live musical accompaniment by the Allen Philharmonic Orchestra. The Allen Philharmonic welcomes area tuba and euphonium players to join us for the MERRY TUBACHRISTMAS 2018 Concert in Allen Texas. The performance will take place outdoors on the Village Green at Watters Creek at Montgomery Farm, Sunday, December 16th at 2:30pm. Dr. Jeff Baker, Allen Philharmonic Principal Tuba and Assistant Professor of Tuba and Euphonium at Texas A & M Commerce, will conduct. 2018 is the 45th anniversary for TUBACHRISTMAS concerts and events which are presented annually in over 150 cities throughout the world. TUBACHRISTMAS was conceived in 1974 by the late Harvey Phillips as a tribute to his teacher and mentor William J. Bell, born on Christmas Day, 1902. “Bill” Bell is recognized by all musicians as one of the most preeminent tuba players throughout the world. The concert is free of charge and open to the public and is presented in conjunction with the Harvey Phillips Foundation. Persons of all ages who play the tuba, sousaphone, euphonium, or baritone horn, are cordially invited to perform in this concert. Registration is from noon to 1:00pm, followed by a music rehearsal from 1:00-1:45pm. The registration and rehearsal will take place at Blue House Too, located at 934 Watters Creek Blvd, in Watters Crossing. The music performed will be from CAROLS FOR A MERRY TUBACHRISTMAS, which is used at all official MERRY TUBACHRISTMAS concerts. The books may be purchased at registration for $20.00. The registration fee for participants is $10.00. Participants should dress in accordance with the prevailing weather conditions. For questions and updated information regarding the 2018 Allen MERRY TUBACHRISTMAS program, contact our office at:office@allenphilharmonic.org or 972.359.0656. Come enjoy the spirit of the season with this annual musical celebration. It is a reinterpretation of Handel’s Messiah but uses multiple genres of African American Music. The Allen Symphony Chorus will be partnering with area African American congregations in this performance. Tickets are priced at $25 for Adults; $20 for Seniors; and $15 for Students and can be ordered online or by phone at 972.359.0656. 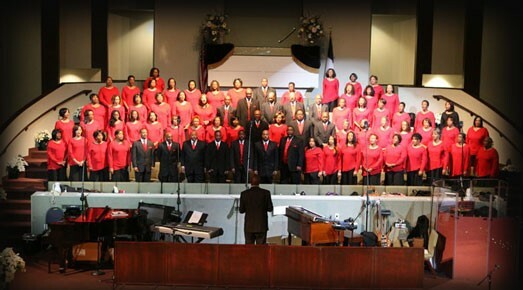 “Soulful Christmas” will feature a major choral work call “Gospel Mass”. It is an appropriate work for the season that is written by Robert Ray, an African American composer, conductor, pianist and teacher. Allen Symphony Chorus is singing with the choir from Shiloh Missionary Baptist Church for a combined chorus of over 100 voices and will be accompanied by an instrumental combo. Shiloh’s director is also a distinguished conductor, composer, pianist, accompanist, organist, teacher and artist is his own right. His name is Victor Johnson and he has over 200 compositions in print! Victor recently directed “Gospel Mass” for a combined chorus from all the high schools in Garland,Texas and will conduct the “Gospel Mass”. The program will include selections such as the Whitney Houston version of “Joy to the World” from The Preacher’s Wife”, “Now, Behold the Lamb”, “Worship the One”, “Mary Did You Know” and the ever popular and familiar Christmas Carol sing-a-long. We will be singing two versions of the Hallelujah Chorus by Handel. One is traditional and the other is from the work/CD “Handel’s Messiah: A Soulful Celebration”. As a bonus, we will present two original compositions by Victor Johnson for Christmas “Christ Came to Bethlehem” and “Run to the Manger”. 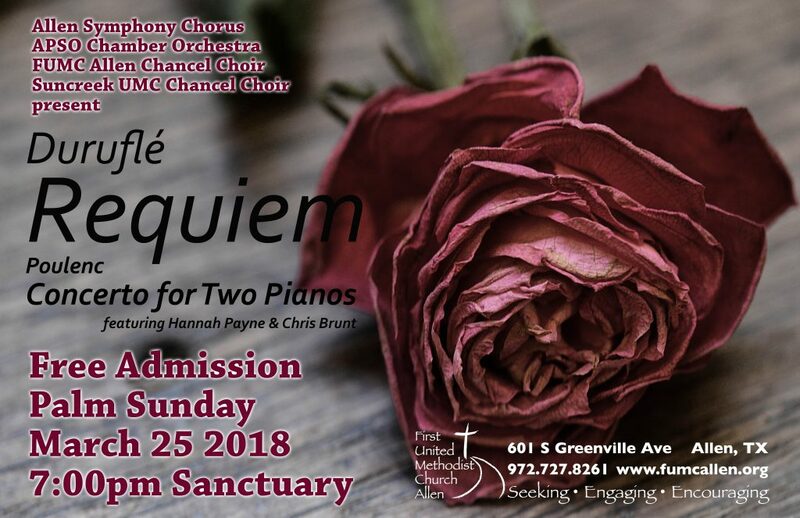 You will enjoy a new exciting work, hear some familiar and unfamiliar music for the season, hear some original compositions from Victor and enjoy the combined choirs of Allen Symphony Chorus and Shiloh Missionary Baptist Church, an instrumental ensemble, with Chris Brunt, our accompanist and Rusty King, the conductor. Dr. Ray received his Bachelor of Music degree in piano performance from Northwestern University. He has appeared as piano soloist with the Kirkwood Symphony Orchestra, Northwestern University Orchestra, Champaign-Urbana Symphony Orchestra, and Seoul (Korea) Philharmonic Orchestra. He came to the University of Missouri – St. Louis from the University of Illinois, Urbana, where he served as accompanist coach for the Strings Department and established the Black Student Chorus. Choruses under his direction have appeared in concert with Ossie Davis, Max Roach, the late James Cleveland, Edwin Hawkins, and many other recording artists. 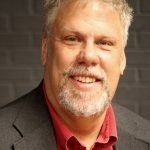 Professor Ray has served as the Repertoire and Standards Chair for Ethnic Music and Multi-Cultural Prospectives for the American Choral Directors Association (Southwestern Division) and has appeared as a lecturer and clinician at numerous universities and colleges, as well as MENC, ACDA, and IAJA conventions. He is the composer of Gospel Mass and other works published by Hal Leonard. Recently, he conducted the St. Louis Symphony Orchestra in A Gospel Christmas, where the orchestra version of his Gospel Magnificat was premiered. 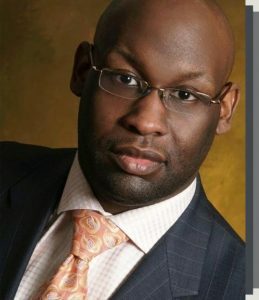 Professor Ray served as accompanist for singers William Warfield and Robert McFerrin and is in frequent demand as a speaker, adjudicator, and guest conductor. In 1997, Professor Ray served as guest conductor for the Europa Cantat in Linz, Austria, and in July 2000 he conducted the European Youth Choir for a two week concert tour. Victor is a native of Dallas, Texas. He worked for 17 years teaching at the Fort Worth Academy of Fine Arts during which time he was director of the Children’s Choir of Texas. Victor attended the University of Texas at Arlington where he majored in music education with a concentration in organ. While attending UTA, he served as student conductor of the university’s choral ensembles and opera workshop accompanist. He was also honored with the awards of “Outstanding Music Freshman” in 1997 and also “Outstanding Musician” in 2001. Opera on Tap (OOT) was born in 2005 at Freddy’s Bar and Backroom in Brooklyn and incorporated in 2007 to promote opera as a viable, living and progressive art form and to support the developing artists who continue to keep the art form alive. 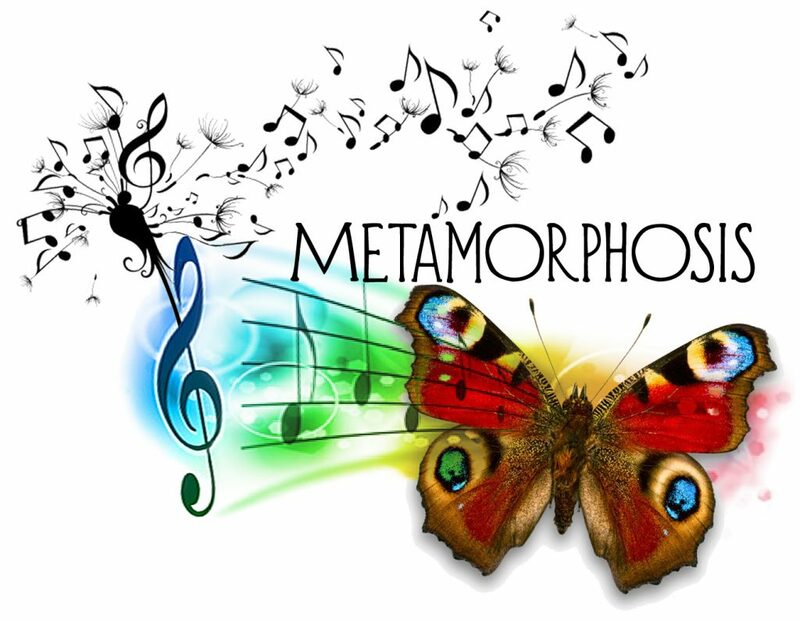 What began as a small monthly gathering of ambitious, classically trained singers looking for more performance opportunities, has grown into a producing organization that has gained a loyal audience base and national recognition as an innovative force on the classical music scene. The Allen Philharmonic is honored to partner with the Denton Chapter of Opera on Tap to produce this event. Music designed to reinforce the themes of the 2018 ALLen Reads book selections. Arrive at 2:00pm and learn about the instrument families of the orchestra with our petting zoo. Then enjoy the concert at 3:00pm with music from Spiderman, Moana, and Coco who like the characters in the ALLen Reads books, put others needs before their own. 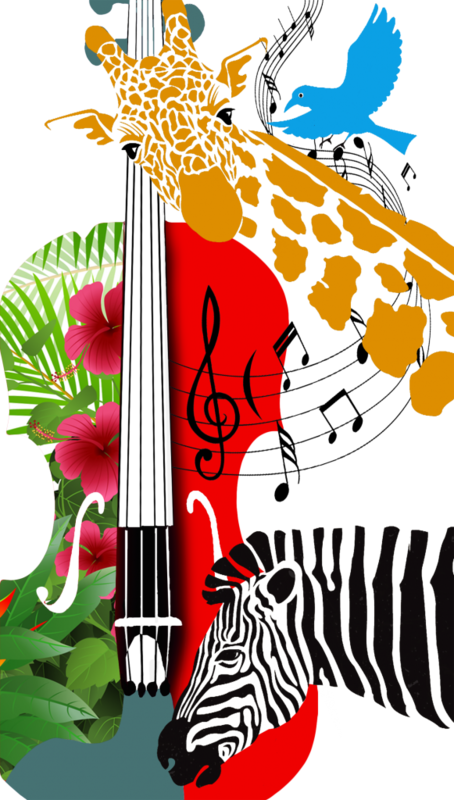 September 2, 2018, at 6:00 p.m.
Join the Allen Philharmonic Orchestra as we bid “Farewell to Summer” and celebrate Labor Day. Bring lawn chairs, a blanket, and a picnic basket and setup camp in Allen Civic Plaza (on the City Hall grounds) for an evening of your favorite light classics, pops, rock, and Broadway. Highlights of the program include music by Sousa and Strauss (the March and Waltz Kings), medleys from Oklahoma and Mary Poppins, music by The Eagles, Leroy Anderson’s “The Waltzing Cat,” and more. Bring along the entire family, and be sure the kids enter our free raffle to guest conduct the orchestra on the second half! June 29th, 2018, at 7:30 p.m.
Click here to download the event folder. April 13th, 2018, at 7:30 p.m. 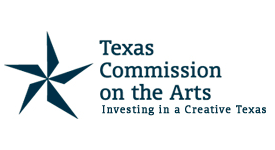 The Allen Philharmonic is pleased to welcome Douglas Kwon, the 2016 Grand Prize Winner of the Young Texas Artist Competition, to perform the Tchaikovsky Violin Concerto. 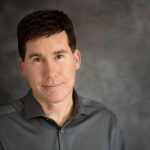 Born in Seoul, South Korea, Douglas has been a Teaching Assistant to Professor Brian Lewis at the University of Texas at Austin while enrolled in the Doctoral Musical Arts degree program. He will graduate with his Doctorate in May 2017. 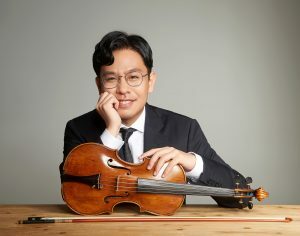 Mr. Kwon earned his Bachelor of Music and Masters of Music in Chamber and Professional Performance at the San Francisco Conservatory of Music under Ian Swnesen, Li Lin, and Wei He. As a chamber musician, Douglas has collaborated with esteemed pianists Menahem Pressler, and Pedja Muzijevic, as well as violinists Roberto Diaz, and Kim Kashkashain. Douglas has performed with members of the Cleveland, Concord, Ravel, Ives and St. Lawrence quartets. He has performed as a soloist with the Austin Civic Orchestra, University Orchestra at UT Austin, San Francisco Conservatory of Music Orchestra, and University of Calgary Orchestra. As an orchestral player, he has had the privilege of working with Conductors Lorin Maazel, Kurt Masur, Christoph von Dohnanyi, Andris Nelsons, Jaap van Zweden, Rafael Frühbeck de Burgos, and Simon Rattle. Douglas has played with the Houston Symphony, Austin Symphony and Austin Lyric Opera. For the past summers, he has participated in Morningside Music Bridge, Meadowmount School of Music, Tanglewood Music Center, and Toronto Summer Music Festival. Douglas Kwon will join the Toronto Symphony as a section violin player in the fall of 2017. Palm Sunday, March 25th, 2018, at 7:00 p.m.
March 10th, 2018 at 2:00 p.m. Pre-concert activities start at 1:00 p.m.
January 20th, 2018, at 9:00 a.m.
Click here to download the suggested repertoire list. 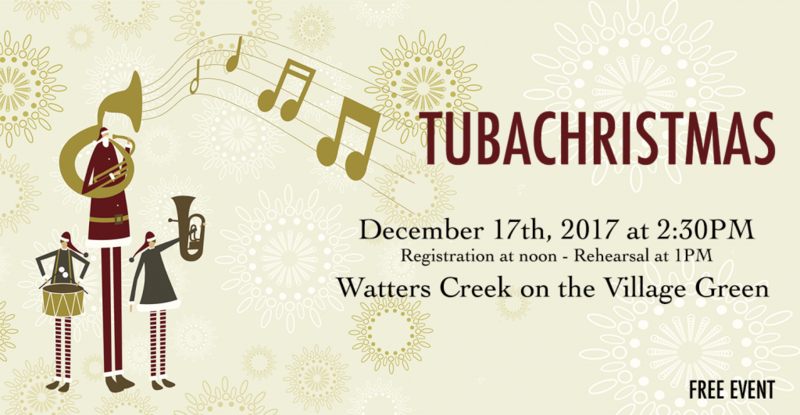 The Allen Philharmonic is pleased to present the Inaugural Allen TUBACHRISTMAS, Sunday, December 17th at Watters Creek. Conceived by tuba virtuoso Harvey Phillips to honor his teacher, the late William J. Bell (Born Christmas Day, 1902), the first Tuba Christmas was presented at Rockefeller Center in 1974. This unusual Christmas tradition is firmly established in over 200 cities around the world. Tuba players of all ages are welcome to join us for this event. Registration begins at 12 noon at Blue House Too, located at 934 Watters Creek Drive. Rehearsal begins at 1:00pm. The cost to participants is $10 and music selections will come from CAROLS FOR A MERRY TUBACHRISTMAS. Songbooks will be available for purchase onsite if the performers do not already own a copy of the music. The musicians will be conducted by Jeff Baker, principal Tuba with the Allen Philharmonic. 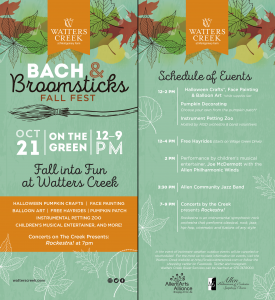 Then, we invite the community to come watch our musicians when they congregate around the tree on Village Green Drive at 2:30 pm to play, filling Watters Creek with the sound of low brass. 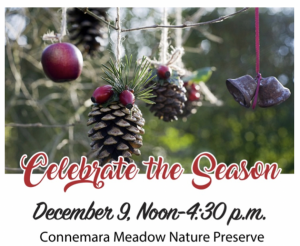 Spectators are encouraged to sing along with the Christmas carols and holiday favorites. Prizes will be awarded for the best decorated, themed tubas. 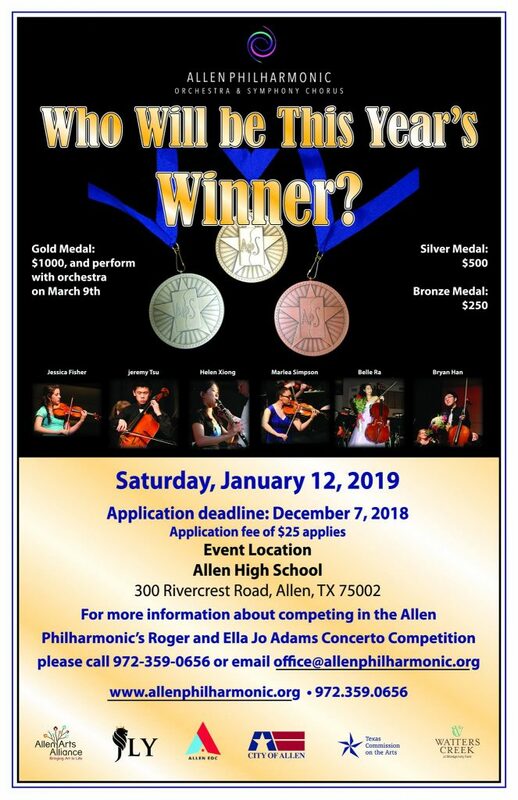 This program is registered with the Harvey Phillips Foundation, please visit www.allenphilharmonic.org for additional information. December 10th, 2017, at 2:00 p.m.
December 16th, 2017, at 7:00 p.m.
December 17th, 2017, at 2:00 p.m. 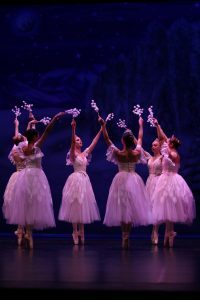 Follow Clara as she saves her beloved Nutcracker Prince from the evil Mouse Queen and embarks on a journey through the Land of Snow to the Palace of the Sugar Plum Fairy in the Kingdom of the Sweets. Live musical accompaniment by the Allen Philharmonic Orchestra. December 8th, 2017, at 7:30 p.m. Put yourself in the Christmas spirit with a performance of holiday music both sacred and familiar. 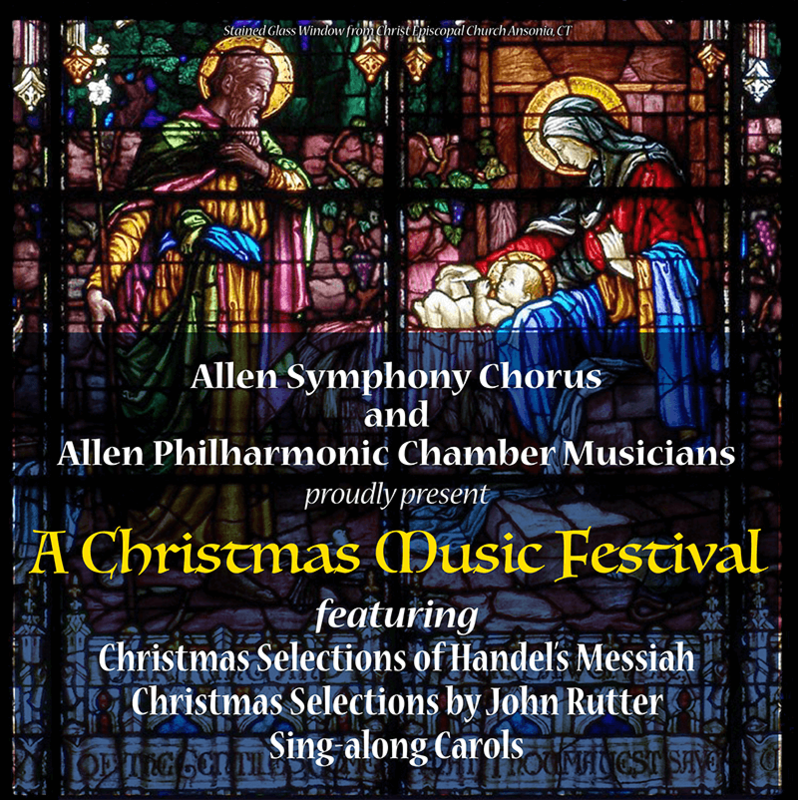 Come join the Allen Symphony Chorus for A Christmas Music Festival Friday, December 8th. This program begins at 7:30pm at First United Methodist Church of Allen, located at 601 S. Greenville Avenue. Programming includes Christmas Selections of Handel’s Messiah; John Rutter’s Shepherd’s Pipe Carol, Jesus Child, What Sweeter Music, The Very Best Time of the Year; then close out the evening by joining the chorus with Sing-A-long Carols familiar to all. November 14th, 2017, at 9:15 a.m. and 10:30 a.m. The Allen Philharmonic is honored to present the annual Allen ISD Fourth Grade Youth Concert on Tuesday, November 14th at the Allen Performing Arts Center. 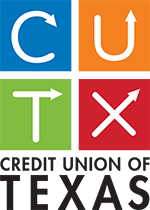 Conducted by Allen ISD Fine Arts Director Jeff Turner, this program features music from the 2017-2018 UIL Music Memory list that is studied in the elementary campus music classrooms. It is a great opportunity to have the material studied in class come alive onstage in an orchestral performance. November 11th, 2017, at 7:30 PM. 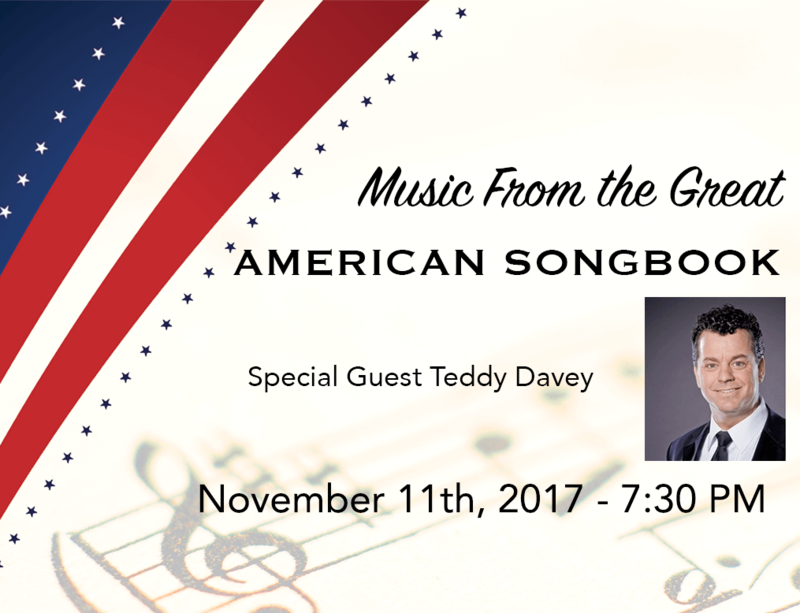 Join the Allen Philharmonic Orchestra & Symphony Chorus as we present an evening of great songs highlighting Music from the Great American Songbook. Featured orchestral selections include A Salute to Big Bands, Cole Porter Salute, and Gershwin by George. Special Guest Teddy Davey, in a nod to Ol’ Blue Eyes himself, will perform Sinatra favorites that include Unforgettable, My Way, New York New York… just to name a few. October 21st, 2017, at 12:00 p.m.
October 7th, 2017, at 2:30 p.m. Pre-concert activities start at 2:00 p.m.
Join the Allen Philharmonic for our inaugural Concerts for Young Audiences series on Saturday, October 7th. 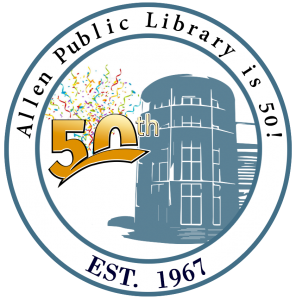 Time Machine to 1967!kicks off the Allen Public Library’s 50th anniversary celebration. Presented in the Civic Auditorium, located at 300 N. Allen Drive, preconcert activities begin at 2:00 and the concert at 2:30pm. Ryan Ross, Principal Guest Conductor of the Allen Philharmonic, has designed a concert program with music from popular culture, Hollywood, and Broadway – all making their debut 50 years ago. Selections include music from Fiddler on the Roof, The Jungle Book, The Doors on Tour, and a Beatles Medley. Enjoy music’s beauty and wonder when the orchestra performs the first movement of Haydn’s Symphony No.5. Known as the Father of the Symphony, Joseph Haydn was a friend and mentor of Mozart, a teacher of Beethoven, and the older brother of composer Michael Haydn. 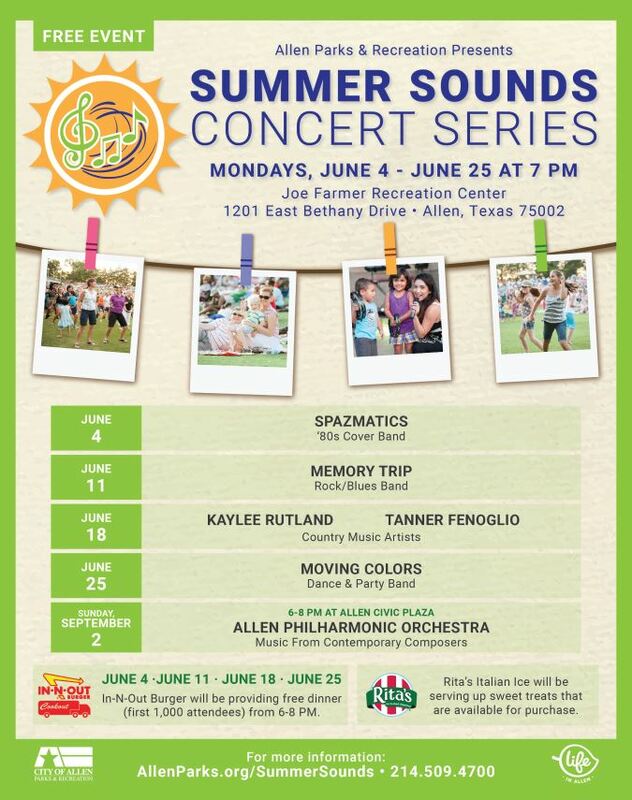 The Young Person’s Concert Series is a new program developed by the Allen Philharmonic with enthusiastic support from Jeff Timbs, Director of the Allen Public Library. Leonard Bernstein, famed conductor of the New York Philharmonic, brought their Young People’s Concerts to a new level of attention and importance when he took over as Conductor. In 1962, these concerts became the first series televised from Lincoln Center. Bernstein’s performances inspired generations of musicians and music lovers. The Allen Philharmonic and Allen Public Library look to inspire the next generation of music lovers with this concert series. Time Machine to 1967! 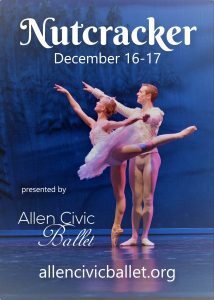 is free with the underwriting support of the City of Allen, Allen Arts Alliance, and the Allen Noon Rotary Club.